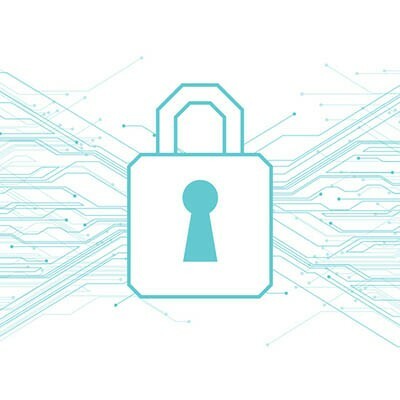 This, in addition to the growing assortment of threats there are to business networks, is why network security is projected to continue its growth and development in the near future. Here, we’ve compiled a few predictions for how this growth and development will take shape. Prediction 1: Penetration testing will happen more often than ever, thanks to A.I. and automation. Penetration testing is an invaluable process, as it allows you to identify weak points in your network security that your staff may have missed. By hiring an external third party, you make it much more likely that errors and oversights made by your internal staff are noticed. The trade-offs: not only is it a time-intensive process, it can be expensive enough that it can only be justifiably run once a year, if that. However, this may no longer be the case for much longer. The integration of new technologies like artificial intelligence and automation have made it so that both of these trade-offs have less and less effect on the frequency of penetration testing. This is a good thing, because the rate at which new technology is being integrated into the office is rising, so penetration testing would need to be run more often to ensure network security. Prediction 2: Unified policies will appear that bridge between public and private clouds. Cloud technology has been advancing, with both private cloud solutions and public cloud solutions proving useful for so many applications. This has led to a widespread move to leverage both to accomplish different aspects of a business’ goals and strategies in adopting what is called a hybrid cloud solution. However, one shortcoming that hybrid clouds have always presented is that there wasn’t any real means of consolidating their security policies to simplify their management as a part of a larger system. Once again, this may soon change. It is anticipated that multi-cloud management platforms will be able to synchronize private clouds and those provided to the public through a single control panel, greatly simplifying the cloud management process. Prediction 3: Endpoint security will be more on point. It should come as no surprise that the greatest internal threat to your security is your own team and their devices. Using social engineering and leveraging the notoriously unreliable security of consumer devices, cybercriminals are often able to access your network through the employees who use it. While many companies have taken steps to minimize the efficacy of these methods, there hasn’t really been a single, unified solution, making security measures extra time-consuming to manage. This last point is most likely to change in the near future, as businesses will want a security solution that is leaner, more efficient, and is only one thing that they have to manage. It is likely that we’ll see these kinds of network security solutions start to take shape and be put to use. In order to remain secure, you need to adapt to meet the threats that are constantly developing. Washington Works can help. Reach out to us at 301-571-5040 for more information.